Magnolia Terrace is a unique and intimate venue specializing in garden weddings in Frisco, Texas. 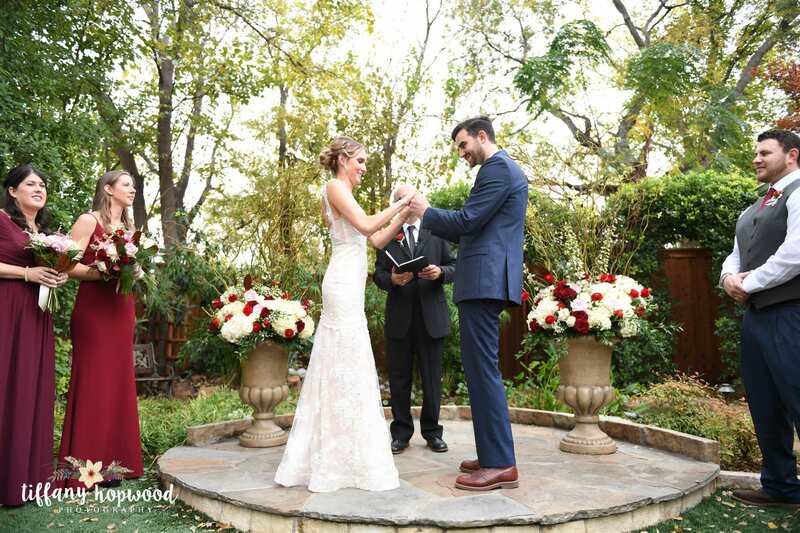 Perfect for old souls who love modern amenities, the venue offers historic charm and natural beauty while still providing the modern amenities that many couples envision for their weddings or other celebrations. Owners, Corinne & Wayne and their staff take pride and joy in bringing you the most magnificent experience possible at Magnolia Terrace. 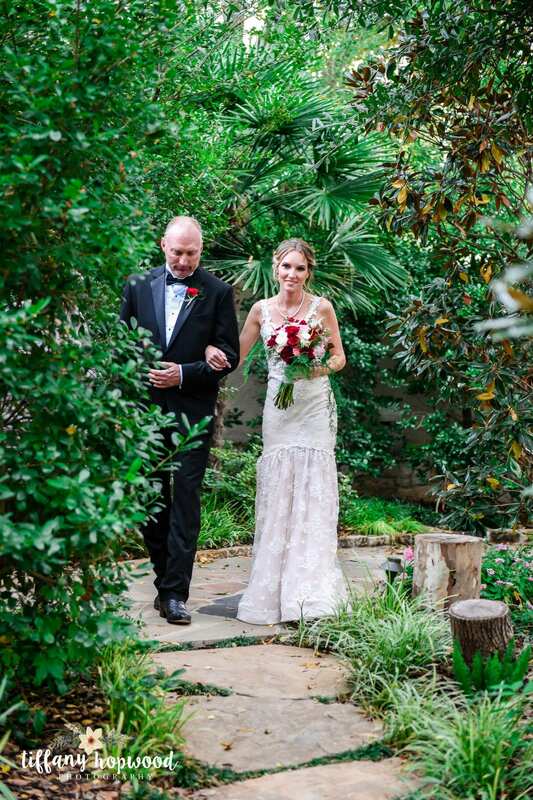 Exchange your vows while surrounded by lush greenery. The venue is ideal for smaller weddings (100 or less), providing a comfortable, cozy place to celebrate these special moments in your life with those you love. Our friendly staff prides themselves on customer service and giving you the best experience possible. We will go above and beyond to create an enchanting atmosphere for your celebration. Have questions or ready to book a property tour? Email us at [email protected]. Magnolia Terrace is home to an array of indoor and outdoor spaces, in addition to awe-worthy scenic views. For intimate outdoor ceremonies, a stone water feature and pond surrounded by large trees decorated in string lighting provide a gorgeous backdrop. Continue to enjoy the beauty of the outdoors while you’re inside. The venue also includes a glass-enclosed reception room that provides stunning views of the natural scenery. You’ll get to experience the beauty of being outside with the comfort of being inside, regardless of weather. The attached covered patio is ideal for cocktails and dining, and can also be utilized for your ceremony in the event of inclement weather. The courtyard on-site features a stone accent wall that is great for photos. In the original structure, you’ll find a buffet area and prep kitchen. In the cocktail area, enjoy a stone bar and original restored hardwood floors. Have questions or ready to book a property tour? Email us at [email protected]. Our team is ready to help you plan your wedding or other celebration. If you have questions or need assistance, don’t hesitate to reach us by emailing [email protected]. Fill out the form and we’ll be in touch with you shortly.